The end result, in a day of homogenized, digitalized, and processed music, is that this new project stands out as a throw back to the great pop rock records of the past. 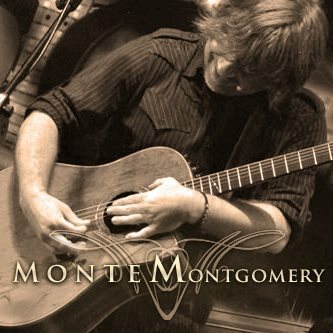 Recorded live at the legendary Masterlink Studio, the textured, deep, rich, nuanced and just plain rocking 12 tracks run the gamut, showcasing Monte’s stylistic diversity beginning with the opening album track “River”, an almost primal seven minute dark bluesy roots rocker, and ending with “Midlife Matinee” a wistful ballad that soulfully explores the turning points and crossroads of life, love and loss. Ironically, it’s the cover of another rock pop classic that is bringing Monte a high profile fan and opening up new doors. After seeing Monte’s version of Sara Smile on YouTube, Daryl Hall (Hall & Oates) was so blown away he invited Monte to be the featured artist on Live From Daryl’s House,the popular web-based music show.